The leaves outside are perfect. Early November is my very favorite bit of year. Foggy and crisp. Yellow and brown and orange. And full of misting rain, lilting music, cups of tea, and hours of quiet contemplation. This time of year, I cozy down and make comfort foods; ones I remember having back home. I also forge ahead as always and make new comfort foods- Fennel soup, pumpkin curry, roasted sweet potatoes, orangey-plum cake. Scanning some of my dear friends’ pinterest food pins the other day, I realized though, my cooking has changed. 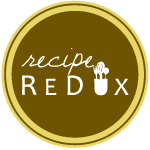 Back in the early years of college, when I first began to truly stretch my cooking wings, I had a theme: “healthy.” I was intent on making every recipe low-fat, low-sugar, high-fiber, blah blah blah. The food still looked and mostly-tasted like what most of us eat regularly. Lots of butter, cream, cheese, grease. I enjoyed cutting out or substituting with lots of products to get the same result. I probably cooked with fat-free cheese. Seriously. I know I ate copious amounts of the sickeningly sweet fake yogurt crap. Then, it was so good. Now, I can’t even smell the stuff without wanting to run in the other direction. Somewhere in the past couple years, probably as a direct result of my new food restrictions and growing more comfortable in myself rather than following fads, I don’t enjoy going to the grocery store anymore. I don’t enjoy teaching the clerk the names of the vegetables I’m buying, being an inconvenience to the other customers as the clerk searches for the bulk bin code, and answering questions about why I’m “so healthy.” Probably one of the best food moments for me this past year was feeding my little kindergartners greens and having them ask for more, leaf by leaf. Then, I definitely did enjoy teaching their veggies. I try not to judge others, though I know I still do. I try to eat for me. What is going to make me feel good? What do I need? Lately I’ve been eating apples. Well, okay I always eat apples, but right now they’re at their very best. I had a crisper full of golden delicious from my aunt that were slowly becoming a touch too soft to my liking. 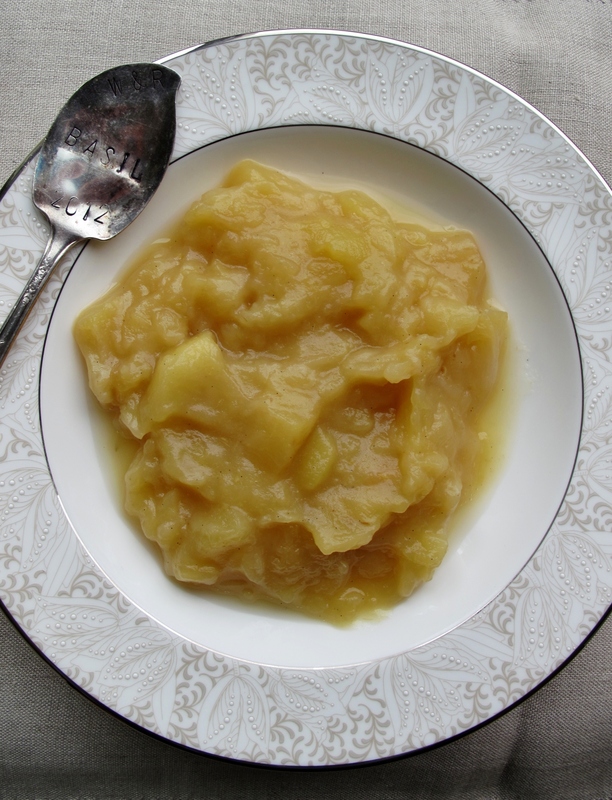 So I decided to make one of the simplest autumn comforts–applesauce. When younger, my siblings and I used to eat it by the quart full. My grandparents would bring us a couple boxes of apples and my mom would get out the food mill and we’d take turns pressing out the peels. I don’t have a food mill. But an awesome vegetable peeler resides in my kitchen. And some vanilla beans and cinnamon sticks. We weren’t that gourmet back then. It was straight apples and perhaps some sugar for good measure. I was going for a bit of texture so I pureed half the cooked apples and stirred them back in with the others. It was perfectly comforting. Simple, and I didn’t even have to go to the grocery store. 1. Turn the chopped apples into a large stockpot. Add a small bit of water, about 1/2 to 1 inch. Toss in half the cinnamon stick and the vanilla bean. Turn to medium-low and cover. 2. Take out the vanilla bean after about 5 minutes. Save the inside for another use. 3. Cook apples until soft. Cool slightly and then puree half in a blender. I left the cinnamon stick in until the applesauce was gone. It added subtle cinnamon flavor. 4. Turn pureed apples back into the pot and spoon it up! Perfect with a cup of tea!